I made this card for one of our dearest friends’ little bubba’s Christening, earlier this year. The card was entirely inspired by a fellow stamper Donna here. 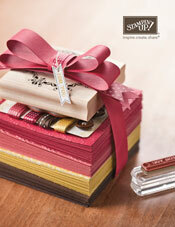 I’ve used the Framed Tulips embossing folder with the Big Shot to frame the card. 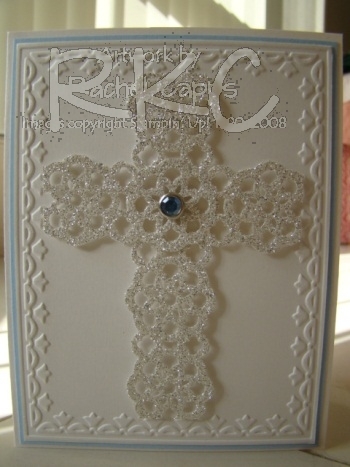 The cross is made using the Lace Ribbon border punch and Silver Glimmer paper and the Rhinestone brad finishes off the centre of the cross which coordinates rather nicely, I think, with the Bashful Blue paper and Shimmery White paper.